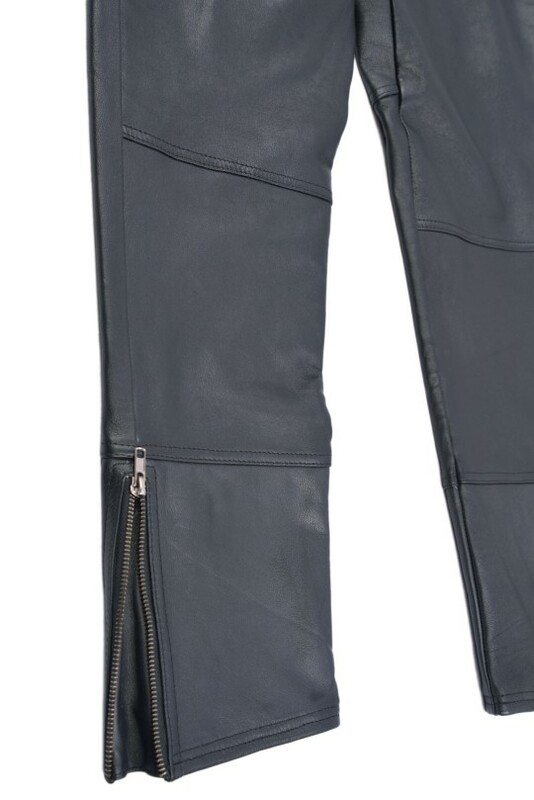 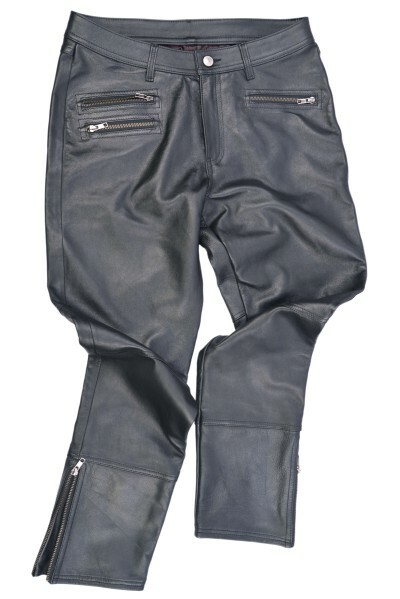 Luxire women’s wear leather pants with metal trims. 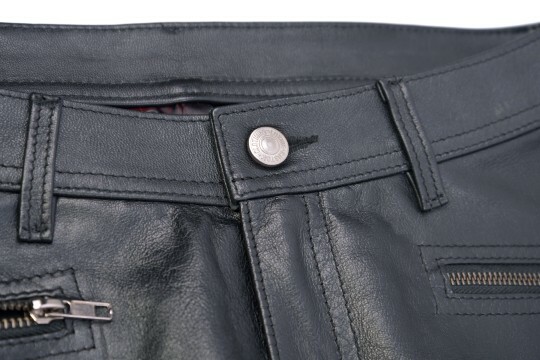 2 rear pockets with rivets . 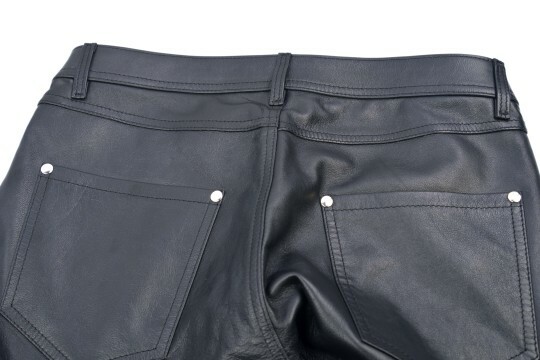 Metal zipper cuff and stitch details.